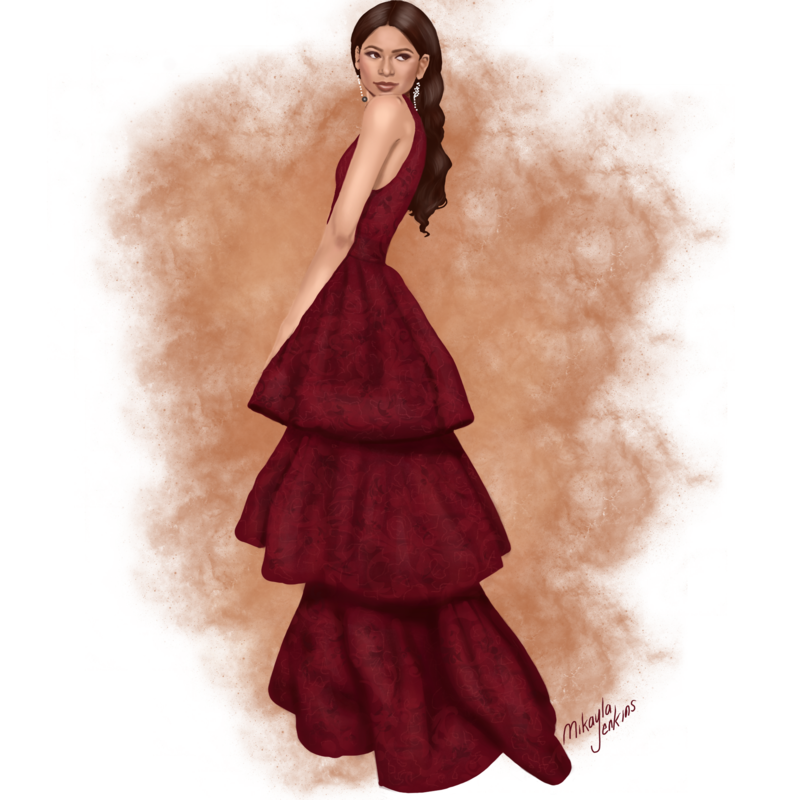 I adore watching Zendaya experiment and play with fashion. She’s been killing on the red carpet for the longest time, so it’s no surprise that her look at this year’s Golden Globes was flawless. She wore a 3 tiered Marchesa confection from the Fall 2016 collection. Who are your picks for best dressed from this year’s Golden Globes? This illustration is absolutely stunning Mikayla! I’m always impressed by your use of colour, and the lovely little details you include in your drawings. I like this look a lot on Zendaya, she’s a real innovator when it comes to fashion. I also loved Kate Winslet’s blue gown at the Golden Globes, she always looks amazing. Thanks so much, Saba! I agree, Kate’s dress was lovely. It was such a gorgeous shade of blue. I wish I had your skills lol. Love this perspective on the golden globes, your art is beautiful! Thanks so much for the love, I really appreciate it!